Hey, Is This Collectible Antique, Vintage or Retro? For any of us who are collectors of anything of value (hopefully real as opposed to merely perceived), we are at some point or another — and more often than not, at numerous points — confronted with the niggling thought as to whether what we’ve been collecting are antiques, vintage items, or retro pieces. Similarly, those of us who sell collectibles — as we do here at Dogbotz Boneyard — are asked the question “Is it antique, vintage or retro?” by our customers. Now there has been excessive discussion about this topic on auction websites such as the ubiquitous eBay, on blogs focusing on collectibles (such as this one), in newsletters (e- and not), etc. So much discussion, in fact, that I was at first loathe to add my proverbial two cents until, of course, Randy (one of our customers) asked me the very same question about the 1945 edition of the Cootie game we presented a few blogs ago (see Why Collect Vintage Games? posted August 27, 2012). However, before reviewing the age differences between antique, vintage and retro, I thought it might be best to consider what exactly is a collectible, since many folks have sent me e-mails about that subject as well. 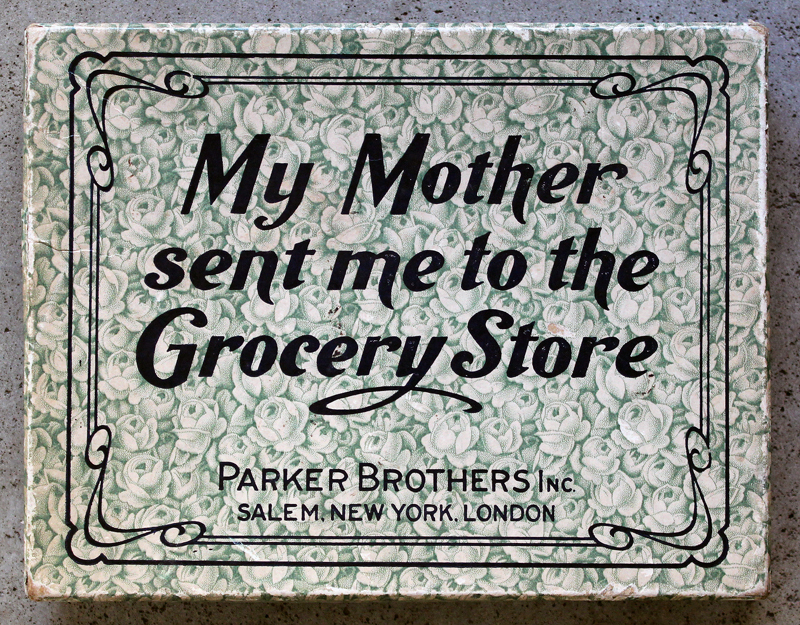 In my experience, collectibles fall into three categories: manufactured, personal passion, and memorabilia. 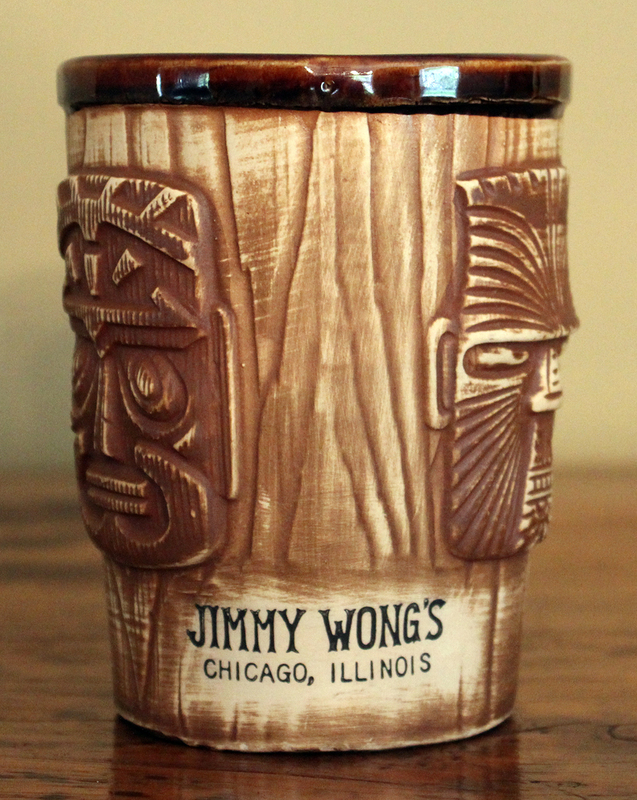 A manufactured collectible is an item made specifically for people to collect — think any sort of tradable cards, such as those featuring sports celebrities or the fantastic creatures of Magic: The Gathering; Spiderman tumblers sold through a national fast-food restaurant chain; Hallmark Christmas ornaments, and so forth. The terms special edition, limited edition and variants such as deluxe edition and collector’s edition fall under the category of manufactured collectibles, since they are used as marketing incentives for various kinds of products, originally published products related to the arts, such as books, prints or recorded music and films, but now including cars, cigars and fine wine. A limited edition is restricted in the number of copies produced, although, in fact, the number may be either quite low or high. A special edition implies extra material of some kind is included. 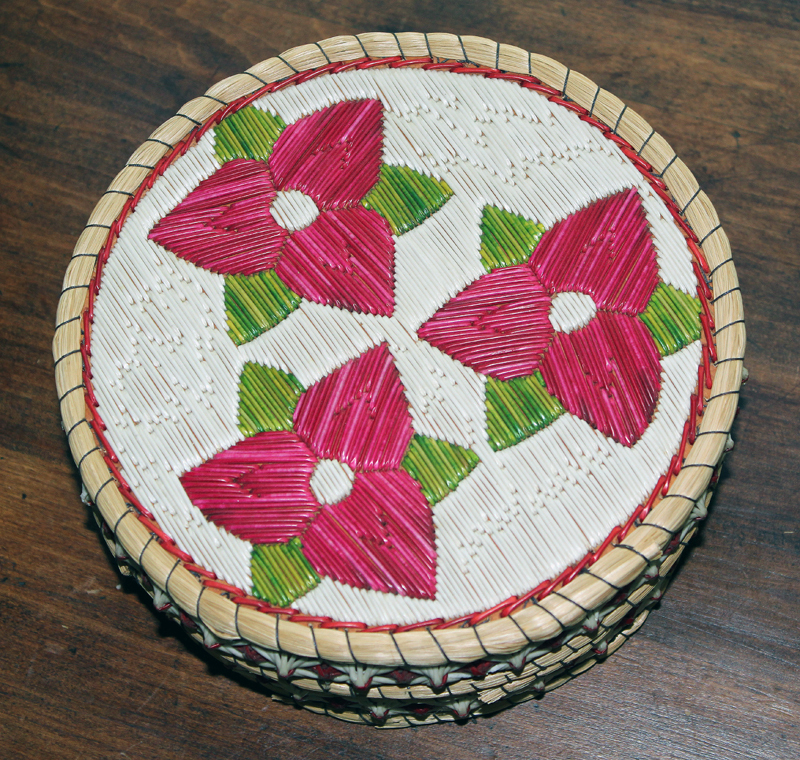 A personal passion collectible is an item that was not initially nor intentionally created to be collected; however, at the point when different people purposefully began to purchase numerous items of similar style, function, design and often origin, they became by default “collected.” For example, I doubt that Shaker women of bygone centuries thought, as they were crafting their baskets, “A-ha! Some day this egg basket along with the dozen others I’ve woven (not to mention those of young Sally Fair or that gentle and wise Mrs. Smith) will be collected by folks in the 21st century so they can make mucho bucks from my toil!” The same probably holds true for match boxes, andirons, Victorian door knobs, Depression glassware and Inuit snowshoes. The third important field of collecting is memorabilia, which includes collectibles related to a person, organization, or event, including t-shirts, posters, program booklets and numerous other paraphernalia marketed to fans. Memorabilia, though, can also include ephemera from historical, media, or entertainment events. Initially, these were items that were meant to be thrown away, yet they were saved by fans and later accumulated by collectors. Memorabilia from rock concerts, historic sporting events, and even political rallies (save those Obama and Romney signs!) are much sought after ever since memorabilia as a collectible category has become big business. So, to review: Items marketed to be collected such as Captain America glasses are manufactured collectibles. Items collected out of a unique interest to a certain individual or group such as Art Deco inkwells are personal passion collectibles. 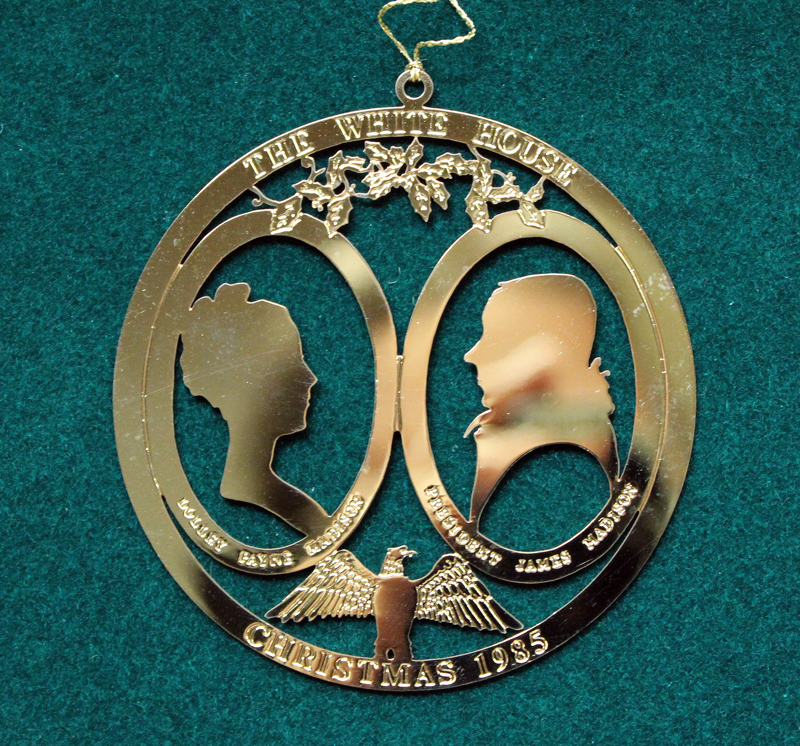 Items associated with significant events or celebrities that were produced for one-time use but were saved by others as a cultural reminder of the times are memorabilia. A final word about collectibles: Because a limited supply of collectibles of any sort exists, they are sought for a variety of reasons, including a possible increase in value. From a financial perspective, collectibles can be viewed as a hedge against inflation. Over time, the value of collectibles may also increase as they become rarer due to loss, damage or destruction. 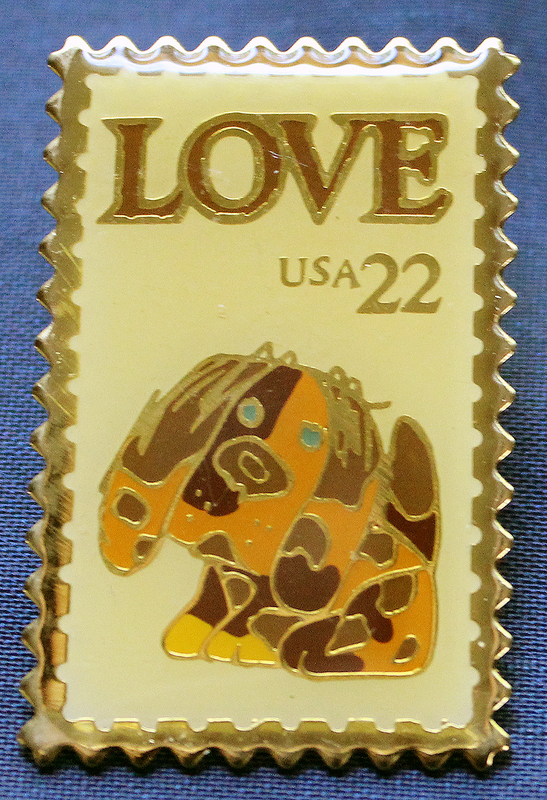 One drawback to investing in collectibles is the potential lack of liquidity, particularly for very obscure items. My rule of thumb? Well, I ask myself, would someone else be interested in buying what I just did? For example, am I the only person who values the vivid, fluid, and magical imagery of a Kathleen Kills Thunder painting? If so, it’ll probably end up being donated to a museum of First Nations artwork when I die. If not, I should collect her works and sell them when the time is right. The same holds true for that Kenneth J. 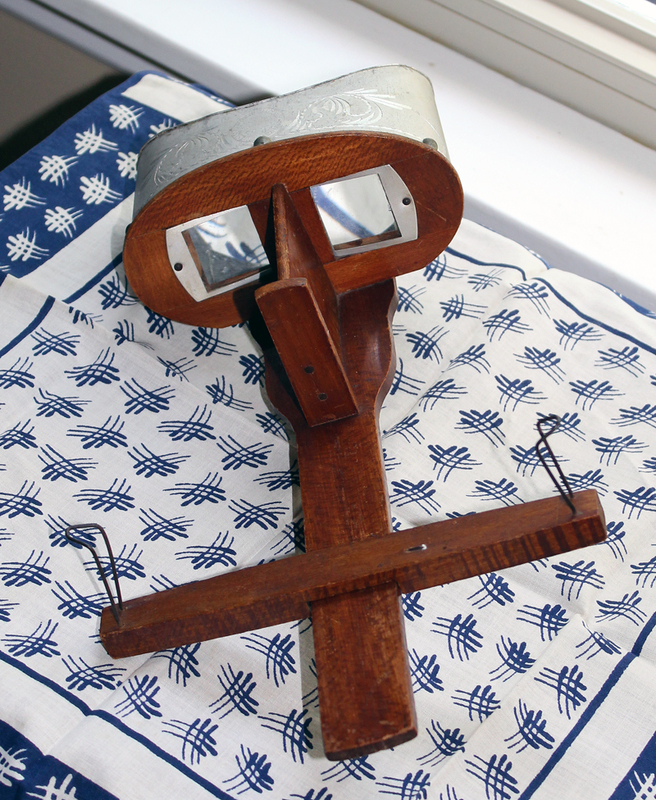 Lane Maltese Cross brooch or that cast-iron Aunt Jemima doorstop. Ok, now, is that painting, brooch or doorstop antique, vintage, or retro? I don’t doubt that whatever I say will be contested by throngs of others. But, hey, that’s part of the fun of blogging! Antique: The Merriam Webster dictionary defines an antique as “a work of art, piece of furniture, or decorative object made at an earlier period and according to various customs laws was created, made, or manufactured at least 100 years ago.” That said, the stereographic cards manufactured in 1908 that I just acquired from a nearby estate sale (and plan to re-sell on Dogbotz Boneyard) are antique as they are, quite simply, photographic images more than 100 years old. Even the stereoscope that I purchased with the cards qualifies as an antique, as it was manufactured in 1897. Vintage: Okay, now there are those who really (and I mean really) hate this term, and perhaps rightly so, hence they whine. The word vintage relates originally to a specific year in which a wine was produced, such as a chardonnay vintage 1998. Later the term was associated with vehicles (a vintage 1967 Mustang), and much later with everything else (my HP Pavilion Entertainment PC laptop vintage 2010). Lovely as the supposedly “official” use of the term vintage is, language is a living process, which means that shifts in grammar, syntax and vocabulary (gasp!) are constantly occurring. Thus is the fate of vintage! Though debate ensues as to whether the term refers to items that are at least 20 years old, 30 years old, or 50, I defer to a common website where folks can sell (not auction) their goods — Etsy. I know, not the most academic of resources, but if thousands of folks can sell thousands of products a year on Etsy, then that website is reflecting back to us — the everyday sellers and buyers — want vintage means to the general public. And for Etsy, that’s 20 years. So, I follow that rule of thumb for goods I sell on Dogbotz Boneyard. If I indicate an item is vintage, it was made a minimum of 20 years ago but not exceeding 100 years. Retro: The word retro simply refers to an item (frequently, but not always, clothing, accessories, and jewelry) that looks out of style for the current time period. Thus, any new design that references styles, structures, or ideas from the past is deemed retro. 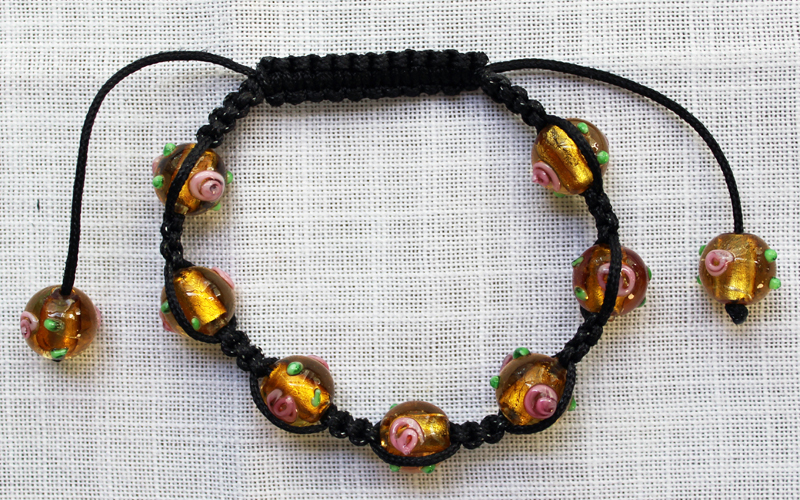 Other interchangeable terms are retro vintage or vintage inspired. 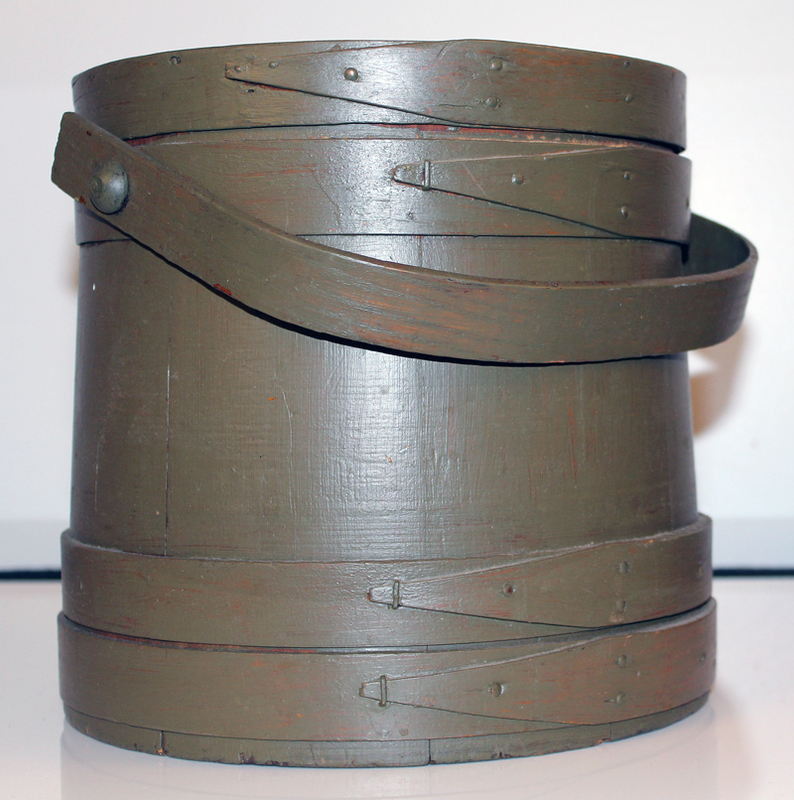 This should not be confused with a reproduction, which is an item that is purposefully made to look exactly like an antique or vintage product but that uses contemporary materials in its manufacturing process. Hopefully, you now have a better feel for what a collectible is and, based on its age, whether it’s antique, vintage or retro. I have provided examples of products available at Dogbotz Boneyard to illustrate the three types of collectibles as well as the age-restricted terms. 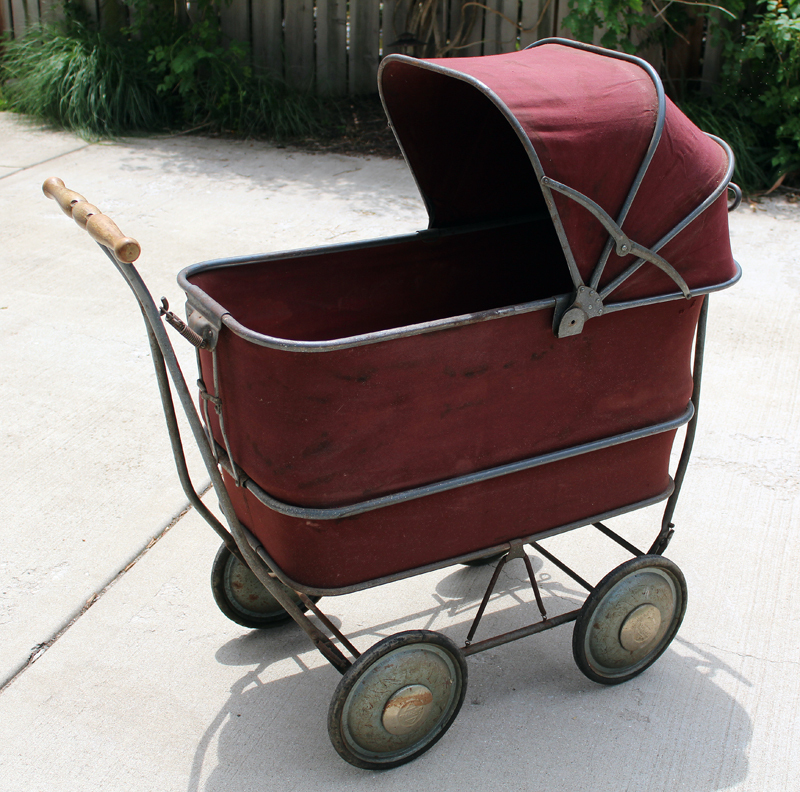 This baby buggy was manufactured in the late 1930s. Antique, vintage or retro? 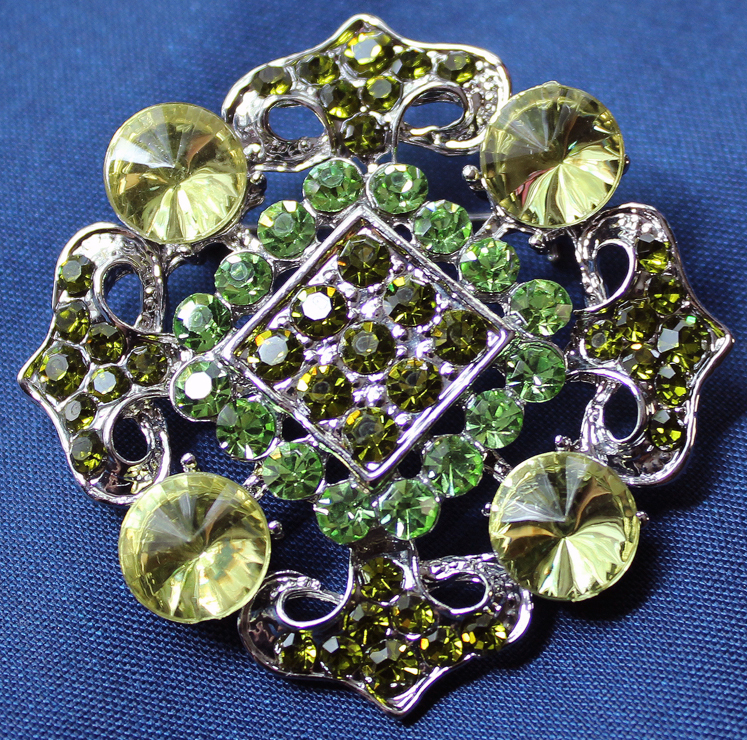 This brooch mimics the costume jewelry of the 1950s. Antique, vintage or retro? This holiday ornament was released in 1985. Antique, vintage or retro? The card game was published in 1890. Antique, vintage or retro? 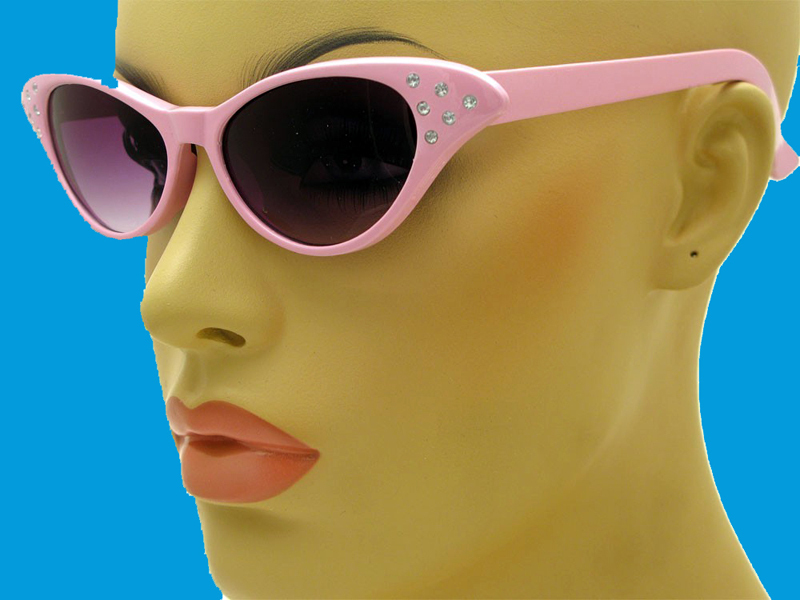 These sunglasses are based on the beach fashion of the early 1960s. Antique, vinatge or retro? 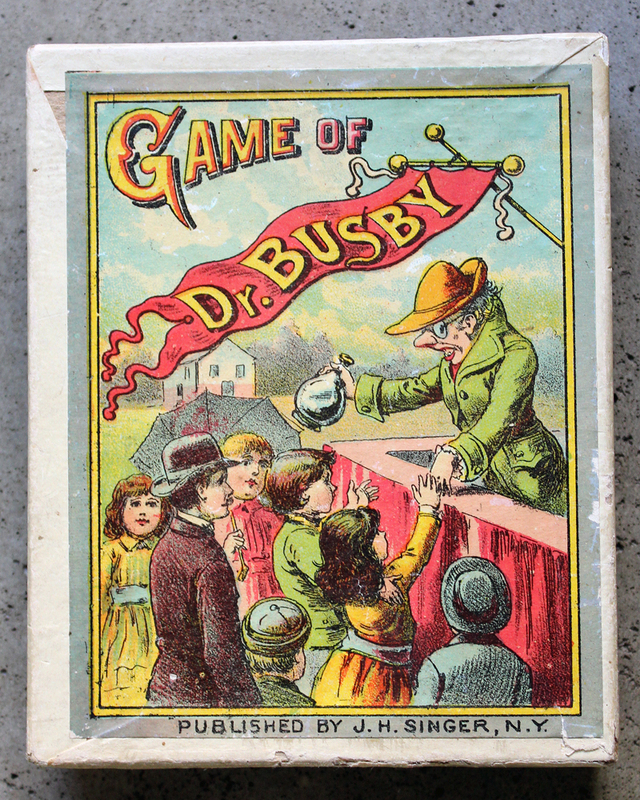 This family game was produced in 1907. Antique, vintage or retro? Hassle me if you disagree with my thoughts. 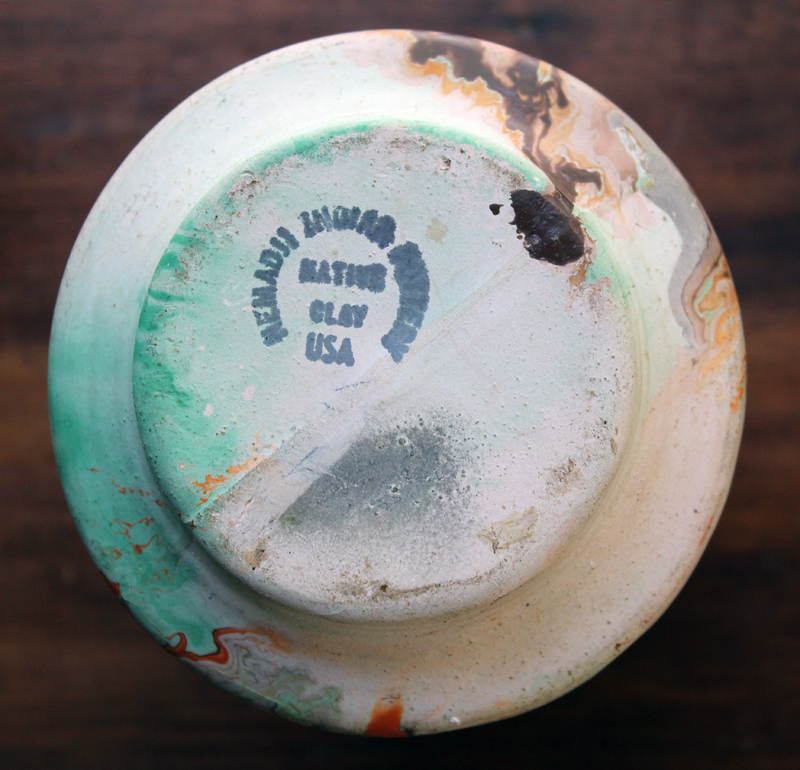 The Truth behind Nemadji Pottery — or the Great American Indian Hoax? Since the grand opening of Dogbotz Boneyard this past June, Dan and I have been selling in our Home Goods department a variety of Nemadji Pottery pieces. 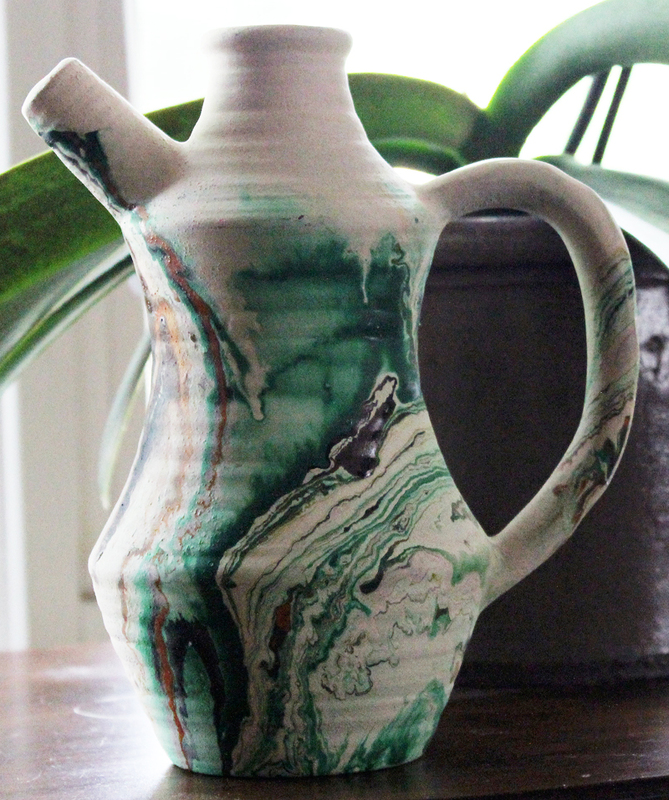 You know — wedding vases, ribbed ewers, miniature bowls, and so forth. 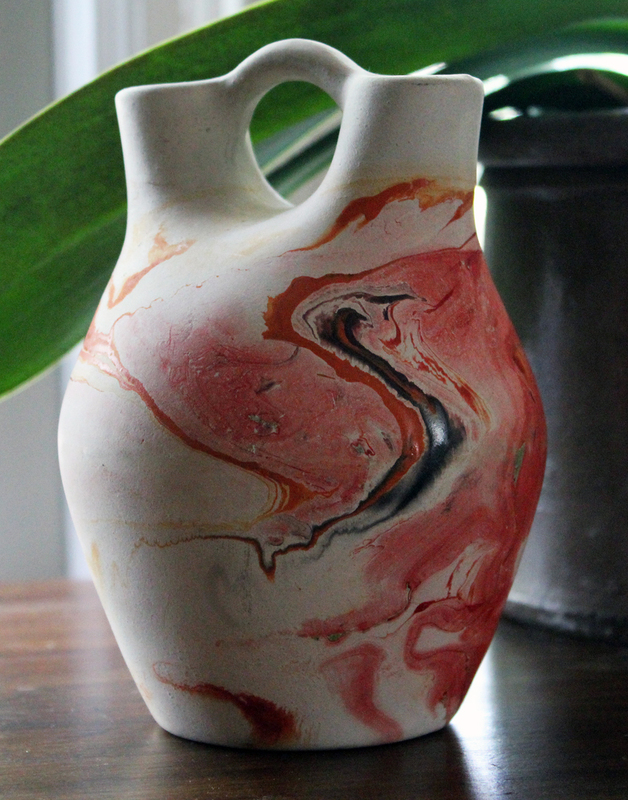 We love Nemadji Pottery because of the striking color splashes and swirls created by the natural clay during the firing process. 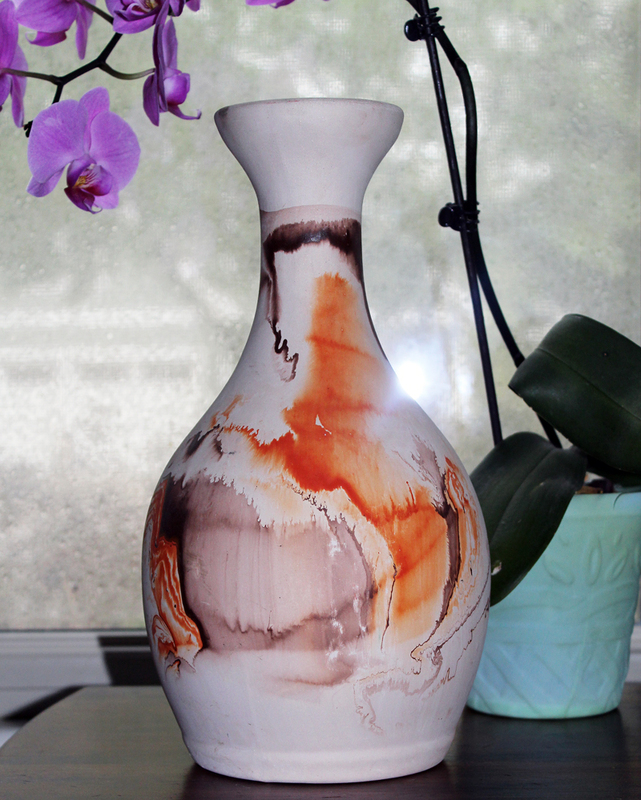 No glazing is ever used on the exterior, leaving the vase or bowl with a creamy matte finish. 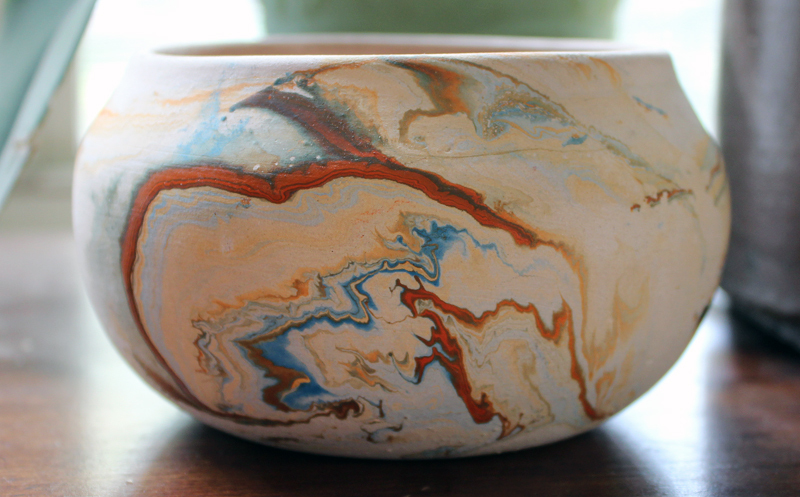 Only the interiors of the pieces are glazed for firing and left glossy and water-resistant when done. Thus, one of the best incentives for collecting Nemadji Pottery lies in the fact that no two exteriors are ever the same. 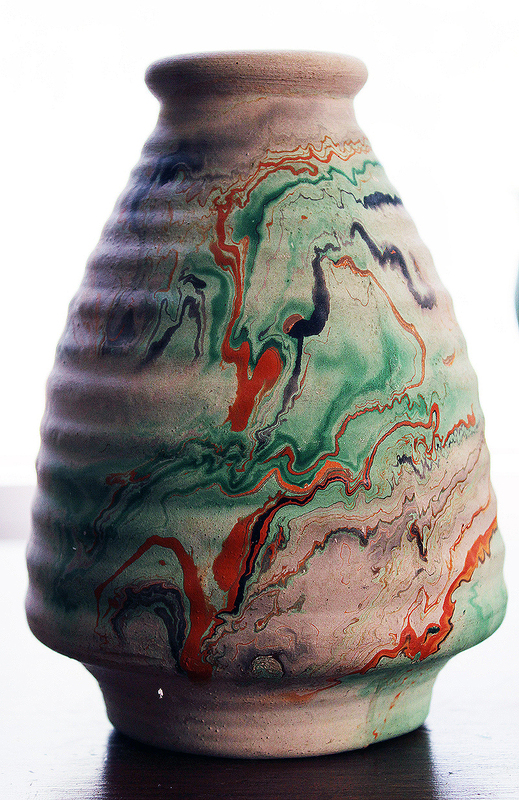 Though some of the shapes of various Nemadji Pottery pieces have been duplicated, the colorful swirls that decorate the exteriors are always unique. This is the creative, if not artistic, force of Nature at her most sublime. One seldom contests this natural wonder, but the debate persists on who created Nemadji Pottery. Are the origins of this stunning pottery Native American or of some other culture? Now, we have stated in the descriptions of the Nemadji Pottery pieces sold at Dogbotz Boneyard that the works are not Native American, despite the fact that the word Nemadji itself, which translates loosely as “left-handed,” is Ojibwa (also known as Chippewa) in origin. And for many, it follows that, if the pottery bears a Native American name, it must be crafted by Native Americans. Well, it isn’t. There are numerous misinformed folks, including some collectors (which I find phenomenal), who believe that Nemadji Pottery must have been made by American Indians because the pieces are made from “native clay.” Hmmm, really? Could it be that the word native here implies the concept of “indigenous to the region,” not “indigenous peoples”? Others quirkily claim that Nemadji Pottery was made by Nemadji Indians. Hardly! Sorry, folks, but half of my genetic makeup is Ojibwa and I can tell you no Nemadji Indian tribe exists. There are those who are “lefties” such as my brother Michael, but they hardly constitute an entire tribe! Even more elaborate mythic musings have been generated based on the markings of Indian heads, canoes, etc., on the bottom of the pottery, which surely must confirm that these beautiful pieces are exotic art crafted by Native Americans. But, alas no; it just isn’t so. Nor are Ojibwa folk or other tribal nations the perpetrators of such inaccurate notions. Instead, here are the facts behind the hoax. 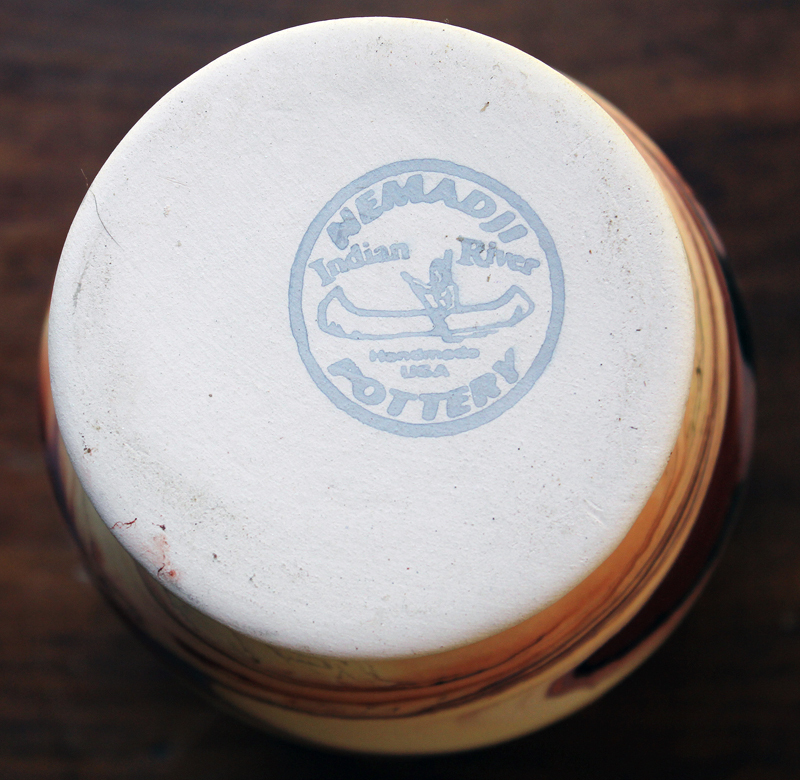 Nemadji Tile and Pottery started production in Moose Lake, Minnesota, in 1923. Originally producing Nemadji Tile from clay collected at the Nemadji River, the studio produced Nemadji Pottery during the Depression to fuel tourist markets, usually in the western and northeastern United States. The pottery was marketed as “resembling” ancient Indian artifacts, so Nemadji Pottery became known euphemistically as “Indian” pottery. As stated earlier, the pottery’s name, which roughly translates as “left-handed,” originates from the Ojibwa language; however, the craftsmen originated mostly from Scandinavia. Nemadji Pottery has a very distinctive look. 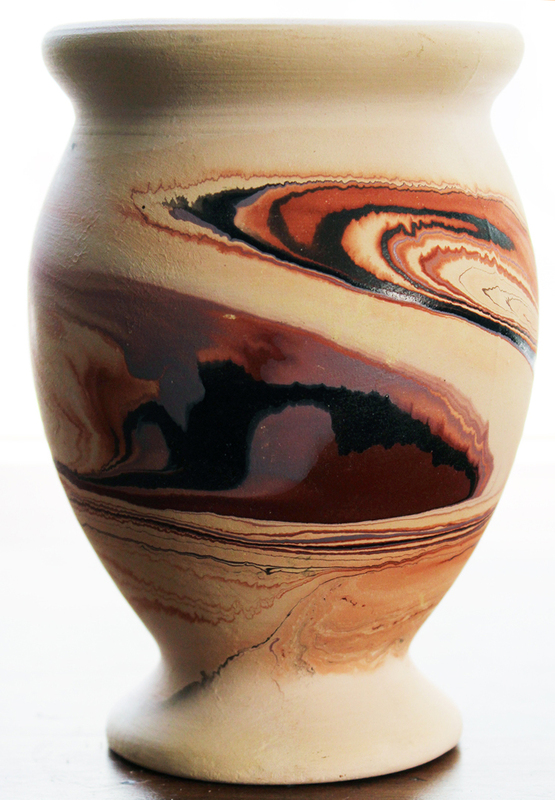 It is typified by its swirled paint look, which was developed by Eric Hellman in 1929. 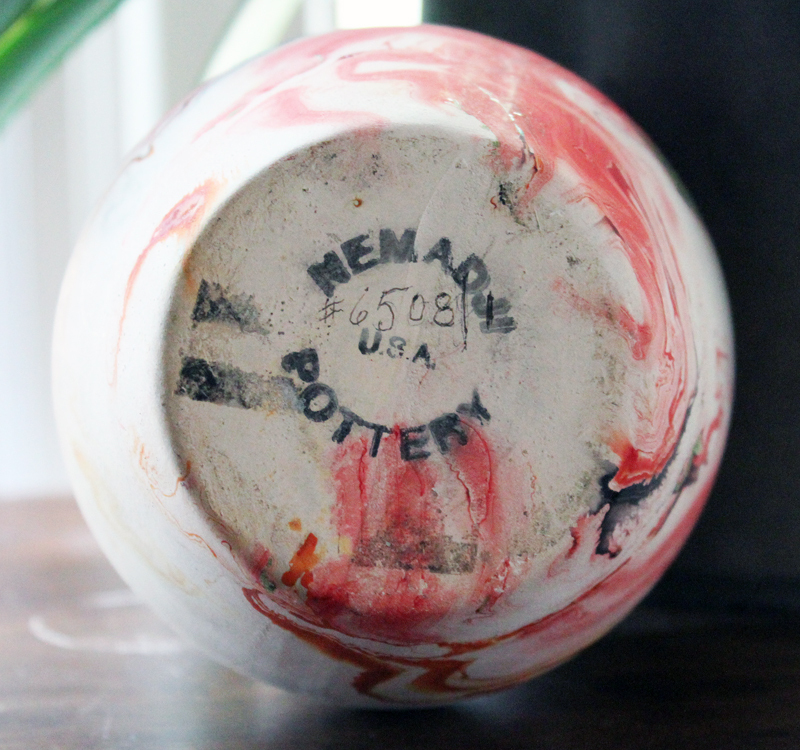 Hellman went on to work for Van Briggle Pottery before World War II and opened the Garden of the Gods Pottery in Colorado Springs in 1950. The last Nemadji Pottery was produced during 2002. There — you have it. Nonetheless, in the end, what’s truly remarkable about Nemadji Pottery isn’t the craftsmen who fashioned and fired it but the inherent breathtaking beauty of the clay revealed once fired.